You want more in life. You want a full and abundant life! The Raytown Christian Church, in cooperation with community leaders, created the Abundant Living Ministry to provide our neighbors the opportunity to experience success in every area of their lives. We believe God has created every person to achieve a full, meaningful, successful life. Thursdays are Raytown’s Community Hub at Raytown Christian. There is no small print. 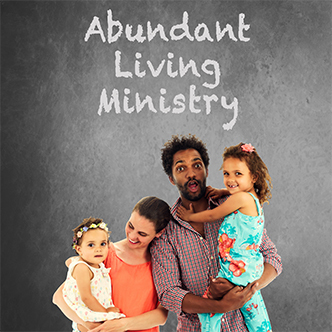 The Abundant Living Ministry is sponsored by the Raytown Christian Church and other community leaders, so we can provide these services for free. No small print. No bait and switch. No products or services to sell. Just you and business leaders, relationship coaches, and spiritual gurus all working together to help you experience your fullest potential as a person in every aspect of your life. We strive to keep our staff, volunteers and most of all guests safe during inclement weather. Therefore we have adopted the following policy. If Raytown school district is closed due to weather all Thursday Hub events will be cancelled (Raytown Prayer, Kingdom Business Roundtable, Raytown Coffee Connection and Career Resource Job Club). Click here to read past content … better still, sign up and we’ll deliver this 2 minute read directly to your inbox!